You never plan to get a flat tire, chip a tooth, or have to rush the dog to the emergency vet. Most all financial emergencies are unplanned. You don’t know that they’re going to happen; you’re not given any notice. And if you’re like two thirds of Americans, you don’t have enough money to cover the unexpected expense. According to Forbes, a recent survey conducted by Bankrate.com found that only 37% of Americans have enough money saved to cover a financial emergency of $500-$1,000. That means that when faced with an unexpected expense, more than 6 out of 10 Americans must find cash fast through some form of debt. For many, fast cash comes in the form of payday loans. 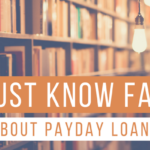 Payday loans not only come with sky-high interest rates and fees, but for most, they also come with a cycle of debt that’s not easy to escape. The average payday loan borrower takes out 8 loans per year, with every 4 out of 5 payday loans being rolled over or renewed. For too many people, unexpected financial emergencies lead to unexpected payday loan debt, which nearly 80% of the time leads to a slippery slope of more payday loan debt. So, how can you protect yourself from winding up in this cycle of unexpected debt? By planning ahead. As Benjamin Franklin once said, “If you fail to prepare, you are preparing to fail.” Unexpected financial emergencies are going to happen. So, the best way you can prepare is by setting aside extra money in a savings account for these emergencies. Creating an emergency fund gives you peace of mind, as well as the financial freedom of not going into debt for an unexpected expense. Are you thinking “Oh, but there’s no unexpected expense that could happen to me.”? Think again. We’re sharing with you 5 of the most common financial emergencies that do happen … often. You’re on the way to work, but instead, you end up stranded on the side of the road. It’s happened to all of us. Cars break down all of the time. It’s one of the most frequently occurring unexpected expenses. You get a flat tire. Your transmission goes out. You need new brakes unexpectedly. Your check engine light comes on. Unfortunately, most car repairs require a professional. Whatever the reason, car repairs can be pricey. And, unfortunately, they can mean going several days without a car. So, not only do you need extra cash to cover the repairs, but you also need extra cash in case you have to find alternative transportation while your car is getting fixed. How much do car repairs really cost? Transmission repairs typically cost between $1,000-$2,000, but if you need to replace the entire transmission, that could cost upwards of $4,000. Depending on the damage and whether or not you have to replace the whole tire, tire repairs can cost anywhere from $50-$200. According to this article, engine issues are among the most commonly reported car issues. When it comes to replacing an engine, it can cost anywhere from $1,000-$4,000. Needless to say, car repairs are not cheap. They can easily leave you in piles of unwanted debt, or worse, stuck in the payday loan debt trap. Even with health insurance, medical bills can stack up quickly. And unexpected medical bills happen to the healthiest of people. From illnesses to accidents, you can easily find yourself in thousands of dollars of medical debt. Unexpected hospital stays after an accident, root canals, medicine for sudden illnesses or infections … unplanned medical expenses happen all of the time. Even if you have health insurance, medical emergencies can be expensive and cost a ton out of pocket. It’s easy to assume that a medical emergency won’t happen to you. You’re healthy. Nothings wrong. But things go wrong all of the time. And according to CNBC, medical bills are the biggest cause of bankruptcy in the United States. Don’t wait around to see what will happen. Plan ahead, prepare, and save cash now. Yes, your pet is healthy. Yes, you’re responsible and do everything you need to do up front to ensure he/she stays healthy. However, unexpected illnesses and injuries can leave you rushing your pet to the ER Vet. And vet bills add up fast, costing several hundred to several thousand dollars depending on the severity of the emergency and the treatment that’s required. Snake bites. Car accidents. Bee stings. Unexpected illnesses. Consuming something toxic. Vomiting or diarrhea. The list of reasons why you could wind up with an unexpected pet emergency bill is endless. Don’t wait until you’re standing in the vet’s office to figure out how you’re going to pay for it. Appliance repairs and replacements are not cheap, and they usually aren’t planned for either. You don’t plan for your refrigerator to stop working or your washer and dryer to break suddenly. And you certainly don’t expect your AC to go out in the middle of summer. These things happen, though. The cost of repairing or replacing an appliance can range from several hundred to several thousand dollars, depending on the appliance and the repairs needed. Going a few weeks without your washer/dryer may be an option, but going a month without AC in heat of summer may not. So, plan ahead for these potential repairs, so you’re not caught off guard when they happen. If you’re a homeowner, the cost of home repairs weighs on your shoulders; and they’re not cheap. Three of the most common home repairs are a busted water heater, a leaky roof, and an A/C blowout. Most unexpected home repairs can easily add up to several thousand dollars. While homeowners insurance does cover some repairs, there’s often a deductible that must be met. So, having money saved up gives you the freedom to cover the repair out of pocket or put more money towards your insurance deductible. A savings fund gives you peace of mind that you’ll have money on hand to take care of your home, when needed. For many, payday loans mean quick cash fast when faced with a financial emergency. Online payday lenders have made getting a payday loan easier than ever before. They may seem like a quick and easy solution for an otherwise financially stressful time. But payday loans aren’t short-term solutions, and they’re most certainly not the easy solution. Payday loans are long-term problems. What begins as a quick fix for a financial emergency quickly spirals into a long-term debt trap. By preparing ahead and creating a savings fund for emergencies, you can avoid the need to turn to payday loans. 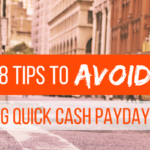 If you’re facing a financial emergency and are in need of fast cash, don’t turn to payday loans. Check out these 4 ways to cope when you’re short on cash and need money fast, instead. If you’re stuck in the payday loan debt trap, we can help! 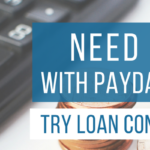 We’re a top-rated payday loan consolidation service providing one-payment programs for any budget. We specialize in stopping online payday lenders automatic debits from your checking accounts. 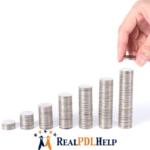 If you’re stuck in the payday loan cycle, we can provide you with real-time relief. Contact us today to get started!